Expert auto repair. We make sure of every detail. A courteous and professional staff, to take care of you and your vehicle. Relax and enjoy the confidence that your vehicle can get you there, and home again. Need your RV repaired? We'll get you safely back on the road. 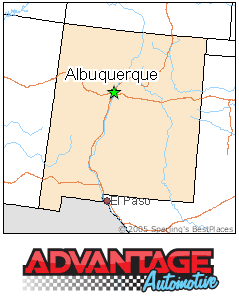 Anyone looking for a quality Albuquerque auto repair shop has gone through the motions. Finding a vehicle repair shop you can trust is not just a matter of looking outside your window. More often than not, most drivers end up going through a process of trying a new shop and discarding them due to low quality of work, or bad customer service. Honesty – if there is one quality that is prized above all other by our customers, it is the fact that we will never sell you a repair that you don’t need. 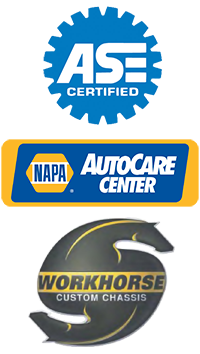 Our customers trust us to keep their vehicles in prime condition at the lowest cost, and we always honor that trust. Professionalism – maintaining a high level of professionalism is another of the highest prized qualities which we cultivate. Ensuring that you are treated with dignity and respect you deserve has, and always will be taken seriously. Skill & Attention to Detail – No matter what you are looking for in an auto repair facility, you need the best people on the job. No matter what your vehicle needs, it is imperative that only highly skilled and qualified mechanics do the job. Our mechanics are handpicked from the best in the business and they get the job done right the first time. By refusing to compromise in these areas, we have cultivated a spirit of service that can keep your vehicle operating in the finest condition possible. Though there are many ways that your vehicle can experience issues. We have discovered the solutions that keep you on the road with your bank account intact. As one of the finest auto repair shops in Albuquerque NM, we feel it is our duty to provide our customers with the information they need to help maintain their vehicle to best of their abilities. Though there is no substitute for professional repairs when they are needed, much can be done to preserve your vehicle by giving it the care in needs, before major repairs are required.